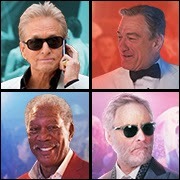 Starring four legends like you've never seen them before, LAST VEGAS tells the story of Billy, Paddy, Archie and Sam (played by Academy-Award winners Michael Douglas, Robert De Niro, Morgan Freeman and Kevin Kline), best friends since childhood. When Billy, the group's sworn bachelor, finally proposes to his thirty-something (of course) girlfriend, the four head to Las Vegas with a plan to stop acting their age and relive their glory days. However, upon arriving, the four quickly realize that the decades have transformed Sin City and tested their friendship in ways they never imagined. The Rat Pack may have once played the Sands and Cirque du Soleil may now rule the Strip, but it’s these four who are taking over Vegas. 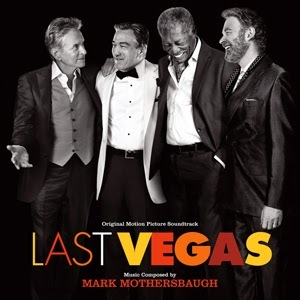 The score by DEVO founder and TV/film score veteran Mark Mothersbaugh is supplemented with a selection of standards sung by Mary Steenburgen, who appears in the film as a lounge singer. Just Announced! Classic looking film with some top notch actors, score by founder of "DEVO" composer Mark Mothersbaugh... what is not to love?